Curiosity, which landed eight years after Opportunity in 2012, continues to weather the storm well, remaining largely unaffected by the dust. Its batteries are nuclear powered, enabling it to continue studying the causes and effects of such storms. Scientists don’t yet know the answer. They do know that dust storms are common, especially when Mars is closest to the sun during spring and summer. Three orbiters — equipped with cameras — also are helping scientists piece together answers about the phenomenon. Still, nobody knows when the sun’s kiss will awaken Opportunity from its prolonged slumber. While this storm is huge, Opportunity made it through an even bigger one in 2007. One difference this time around, however, is the atmospheric opacity, or tau, which is much worse now. 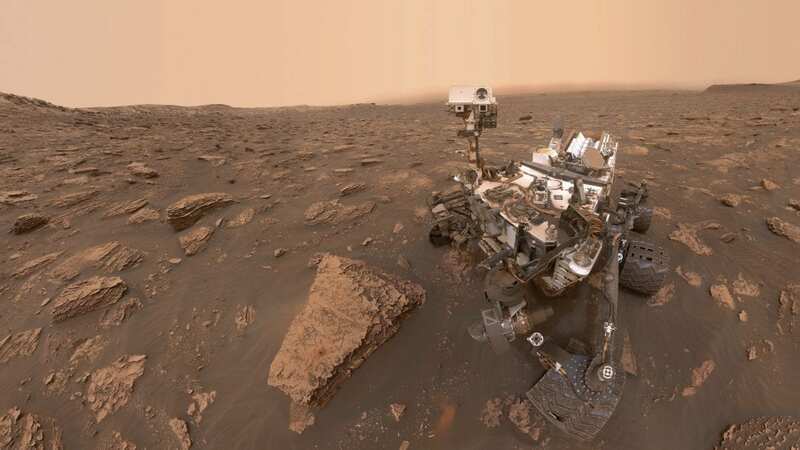 As NPR’s Joe Palca has reported, Opportunity was designed to operate for at least 90 days, and the elderly rover has been experiencing memory problems in recent years. So it has had a good run. But still NASA’s not ready to call it quits just yet. NASA says such storms can last weeks, or months at the longest, and it is anyone’s guess when the dust will dissipate.